â€œOur people want speedy trial of the former governor and we are worried over his desperation to frustrate his quick trial over the N7.6 billion fraud levelled against him by EFCC. â€œThere should be no sacred cows in the fight against corruption, and it is worrisome for somebody whose international passport is allegedly being withheld to travel outside the country. 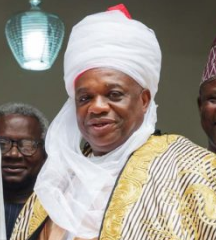 â€œWe are however happy when Justice Mohammed Idris of Lagos High Court gave Chief Kalu seven days to appear before the court to answer questions over the alleged N7. 6 billion fraud charges levelled against him by EFCC.